Waking up in your warm bed on a Saturday morning in the middle of winter and knowing that you will jump in an ice cold lake soon is not easy. Your instinct tells you to switch off that alarm clock, turn around and dive back into those sweet dreams you just had. Regular Ice bathing is a powerful challenge not only for your body but primarily for your mind. It is an uncommon and somewhat crazy habit in our modern society. Literally stepping out of your comfort zone on a regular basis has powerful effects on your psyche and overall well-being though. Some of the regular Icedippers say that after attending for a few times, they found themselves noticeably more relaxed, enjoyed a more restful sleep and felt less depressed than in the winters before. 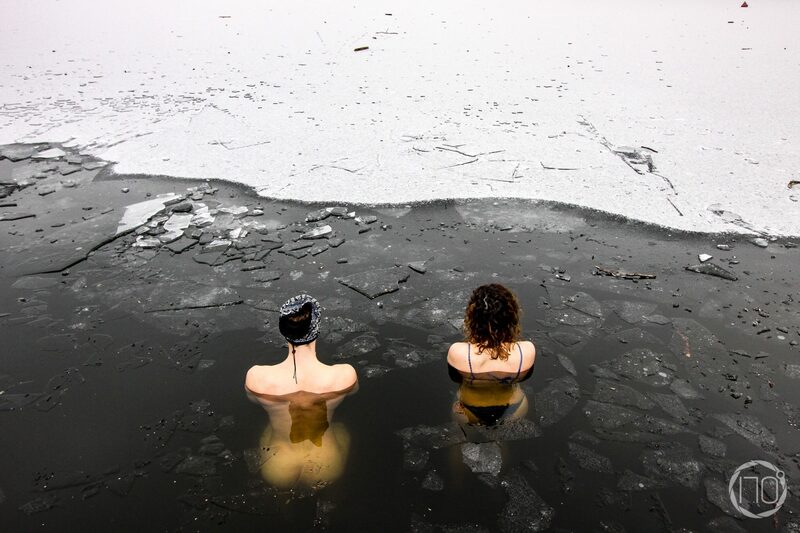 Challenge as a driver of personal growth, hence, is one of the three pillars of Icebathing. Since it is something that Icedippers do only for themselves, it is probably the strongest motivator of all factors.